"The most beautiful things in the world cannot be seen or touched, they are felt with the heart." After crash-landing in the Sahara Desert, a pilot encounters a little prince who is visiting Earth from his own planet. Their strange and moving meeting illuminates for the aviator many of life's universal truths, as he comes to learn what it means to be human from a child who is not. 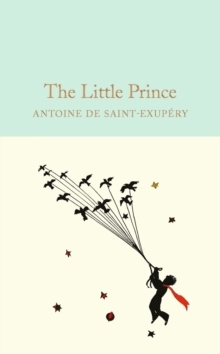 Antoine de Saint-Exupery's delightful The Little Prince has been translated into over 180 languages and sold over 80 million copies. This Macmillan Collector's Library edition features a specially commissioned translation by Ros and Chloe Schwarz, as well as the charming original black and white illustrations by Saint-Exupery himself. It's a book that will enchant both children and adults alike. Designed to appeal to the booklover, the Macmillan Collector's Library is a series of beautiful gift editions of much loved classic titles.